A coach’s work is never done. See ball. Chase ball. Hit ball, catch ball, throw, kick, lunge for, jump for, dive for ball. Dogs aren’t the only species whose eyes light up at the sight of a ball. We humans feel the pull, the ‘catch me if you can’ spell of the bouncing, flying ball. And though not everyone feels inspired to play a ball sport, or join a team to do so, for those of us who do, the rewards go far beyond the obvious pay-offs in fitness and friendships. I came to sports late in life, although I dabbled in basketball and field hockey during high school. This was long before Title Nine cleared the path for women’s sports, and decades before soccer mania took root in America’s suburbs. I never took any sport seriously until I was over forty. That’s when I fell for Wilson and Penn. I’ve been chasing those bad boys ever since. 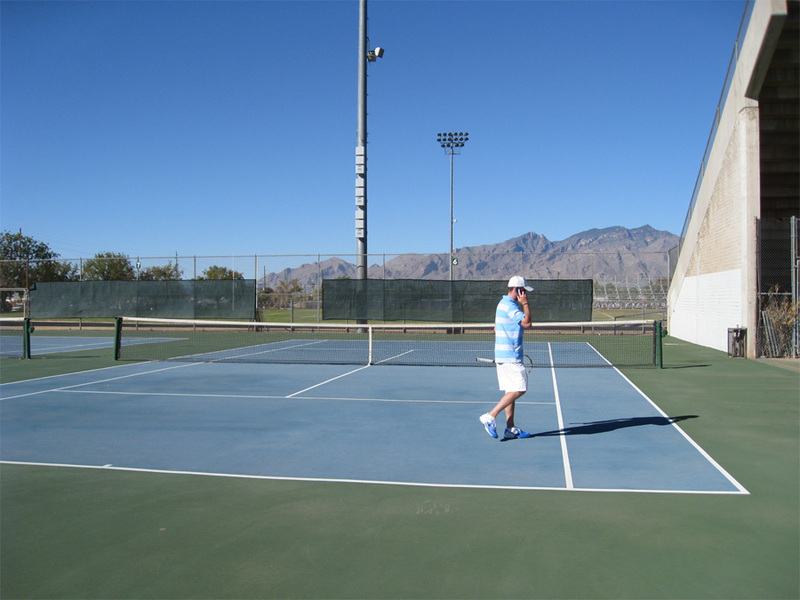 This past weekend my love affair with tennis took me farther than ever before, when my USTA Women’s League 3.5 team from the Pacific Northwest Section traveled to Tucson, AZ, to compete in the National tournament. Teams from sixteen sections of the country, representing all fifty states and the Caribbean, gathered for three days of match play under the hot Arizona sun. It was an amazing, exhilarating, exhausting experience. I had imagined before we went that there might be a few hours here and there during the tournament to see a little bit of Tucson, maybe buy a few souvenirs. Silly me. Between the practice matches, real matches, team meetings, dinners, lunches and vital social gatherings there was hardly time to squeeze in a little precious sleep. I felt as if I were trying to keep up on one of those moving walkways at the airport while bouncing tennis balls and juggling water bottles. And as anyone who’s traveled with a large group knows, the logistics of coordinating movements can be testing. The fluid nature of time and the peculiarities of the human temperament reveal hidden truths. In many ways a good team is like a car. Different players bring different strengths. You need a strong engine, good wheels, fiery sparkplugs, smooth linkage, a reliable clutch. But a car, no matter how well put together, needs someone with a clear head at the wheel to stay on the road. Our team was lucky. Our coach, Jason Chapman, is younger than many of us on the team, but in tennis years he’s older and wiser. He’s been to Nationals eleven times before, once as a player before he started coaching. It takes a rare sort of person to bring out the best in a dozen women with widely varying skill sets, personalities and ages. It helps to have a deep well of patience, a good sense of humor, and an inner compass locked on the goal. Jason has all these attributes, and more. He asked us to trust him, and we did. Under his guidance, we worked hard for eight months and got to the Big Race. We made it to the Final Four and nearly to the finish line before we were edged out in the final by a scrappy team from Arkansas. Does it lessen the sting to know that two of that team’s best players were young women who came from the Pacific Northwest? Not really. We came to win. We nearly did. And as far as I’m concerned, my team is second to none. Well played and well written! I can hear the Swoosh! of the balls going by and imagine you and your teammates running up to and after them. To make to Any national competition is totally impressive! I’m so proud for you – Huge Accomplishment! Wonderful, wonderful. You, young lady, are something else. And I still love the way you put words together.The new picture of you and your team will serve as our new background.